Garage door openers are the fine line that separates man, from unnecessarily cold and uncomfortable man. It’s the convenience that’s ensuring you don’t have to scrape your windshield and you don’t have to get out of your car to open the door, get the car in and then close it. It’s still the home appliance of the future. But is it the weak link in your garage security? Probably. 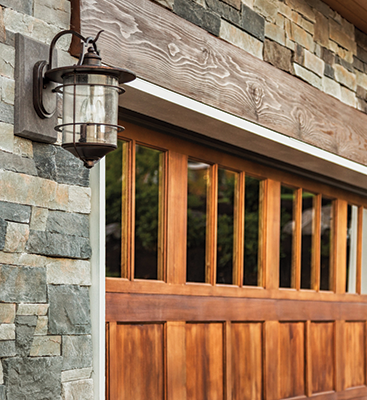 On most garage door openers, you’ll find a cord that hangs down from the main body of the opener. That is the emergency release lever and it’s not really a needed feature until the power goes out, or something to that effect, and then it’s used to allow you to raise the door manually, otherwise, the mover keeps the door in place. If you ever get locked out of your house, you can always find youtube tutorials that show you how to engage the emergency release lever from outside. However, those tutorials are available to more than just you. While this is clearly putting your garage security in jeopardy, there are some actions you can take moving forward. Because if your garage is easy to get into, it means your house is easy to get into and that can be really dangerous for your family and your property. 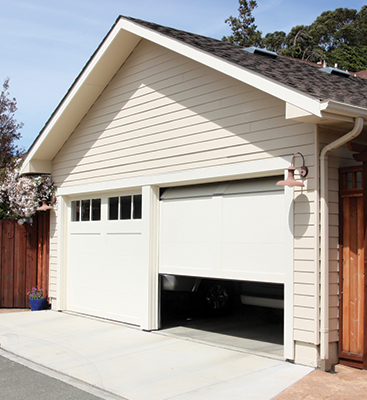 Increasing garage security does not have to be a constant worry for you though. Door Doctor has assembled some things that you could try to protect your garage from being broken into and preventing any garage door opener repair that might come down the road. If you’re worried someone might use a youtube tutorial that features a wire hanger to break into your garage and then your house, it might just be easier to disable the emergency release lever altogether. As long as you’re fine with eliminating this point of entry, should you get locked out accidentally, then there’s nothing to worry about? You could also try just removing the cord itself. When you’re trying to trip the emergency release, the lever is really more like a handle than a necessity in the same sense that you can have a bag without a strap. You can totally remove the cord and still have access to the lever. That will eliminate the danger of someone hooking it with an outside object and engaging the lever. If you’d like, you can even try locking the release lever up. To do this, tie the lever to the carriage assembly piece that it is currently attached to. On most garage door openers, you’ll find that the carriage assembly has a hole in it, if you lase a piece of plastic wire through the hole where the emergency lever cord was kept and tie it into the assembly, you’ll have disabled the lever rather effectively. It’ll also ensure that you can easily remove the tie and use the emergency lever from inside the garage. If the last suggestions just don’t make you feel safe, we have a few more up our sleeve that is a little more aggressive. For instance, you could just revert back to the prehistoric age and disconnect the opener entirely. But if you’re looking for something less drastic. You could get a wireless keypad installed. If you don’t have the remote on you, you can use a keypad on the outside of the door to open it. This is perfect for if you end up locked outside of the house and any other mishap of that nature, but a burglar wouldn’t be able to crack that code. If you’re really concerned about security, contact Door Doctor. We can provide solutions to your fears and ways to make sure that your garage door opener cannot be compromised. 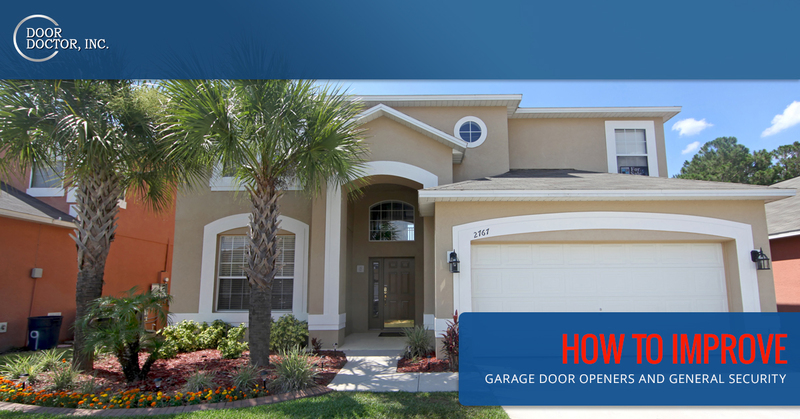 Our garage door opener repairs are a great solution to making your home more secure and potentially upgrading your opener. Update your appliance of tomorrow, and never have to manually open a garage door again. If you’re looking for more creative tips on improving your security, check back up on our blog. 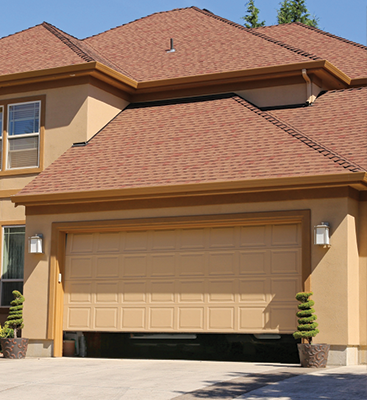 We’ll feature another post about garage door windows and more to improve the security for your house through your garage door opener.